Pastor Don Pate gives you a deeper, enriching concept of Scripture in an easy, conversational style. His insights are shared from a Biblically based Jewish mindset as taught by the only gentile graduate in the history of the famed Center for Jewish Studies at the Graduate Theological Union in Berkeley, California. 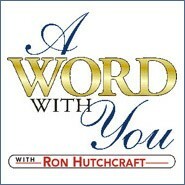 Now broadcasting archived programs Monday-Friday 2:05 p.m. and Sunday at 4:30 p.m. No contact information available. This is a daily 2-minute broadcast that provides practical advice and Biblical guidelines relating to money management from Crown Financial Ministries. Helping you find True Financial Freedom! Through touching many of the "stressors" that most of us face, the prescription of beautiful and mellow music and verbal support of Bill Pierce, Nightsounds meets the needs of those who need a touch of quiet, soul-satisfying inspiration and hope. Nightly at midnight. Wellspring is a sermon series featuring the thoughtful, inspiring, and Bible-based messages of Pastor Jerry Arnold from the Collegedale Community Church in Collegedale, TN. Saturday 1:00 p.m.